If you have lived as an Overseas Filipino Worker, living away from your family just to earn a living, then you will sensitized to these kinds of advertisements. 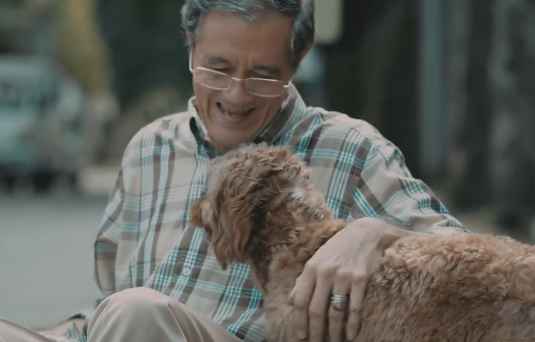 In the latest ad by Globe Telecoms, you will see the travails of a lost dog named Chobo. He or she or the dog then makes friends with an old man who lives in an empty nest. In as much I want to tell the story, it would be best you watch it here. I just hate it when ads like these are shown during Christmas time, tears flows easily. Now if only Globe can cry for us about their lousy and expensive service. That tear jerker Chobo won't be able to cover for this inadequacy.